Can you believe it? 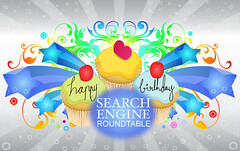 Seven years of covering search, search engines, search marketing, Google, Yahoo, Bing, Ask on this blog. Never really taking an extended break, never hardly having something new or interesting to share. Who would have known that on December 2nd, 2003, my notebook on search topics would have been a continuous source of search knowledge seven years later? I often like to summarize the past year's topics I covered below. I do this instead of writing the summary before New Years, like many other sites do. Come & Gone: Yes, search engines have come and gone. Search forums have come and gone. SEO personalities have come and gone. But search and the importance of search has continued to grow. People, marketers, advertisers, businesses, and families have become dependent on search. Now, seven years later, we have two - Google and Bing. Back when I started, Yahoo wasn't a search engine and now they aren't a search engine again. Alta Vista, who? Blekko the next Google killer or next Cuil? Ask Jeeves, Teoma, Ask.com and now Ask Q&A site. So much has happened over the years, it is hard to summarize it all. The Google May Day algorithm, which kicked off in late April but named May Day was the largest algorithm update on 2010. Webmasters and SEOs are still coming to grips with the May Day update. Google Caffeine is often confused with the May Day update, launching sometime around the same time as May Day but being in test mode for around a year. Caffeine was an infrastructure change on how Google crawls web pages and stores that data in their indexes. While May Day has an impact on rankings, Caffeine's intent was not to have a ranking impact. Of course, who would forget the Google Instant launch, which replaced the controversial Jazz interface on some level. Instant shows search results as you type, Jazz (nicknamed) gave additional search filters and a more colorful feel for the Google search results. No one would argue, 2010 was the year Yahoo Search and Ask.com failed. Yahoo made a deal with Microsoft that closed at the end of 2009 and in 2010, Bing began powered Yahoo's search results and search ads in the US and Canada. Ask.com announced this year they are getting out of the search business and going completely Q&A. Bing has made some nice strides and it is good to see, but I do hate to see only two main players in the search space now. Google and Bing. Finally, search in the past five years or so has been about links and content. But now it is quickly turning into social and real time. Who you are friends with online, what real time stuff is going on - that is playing a huge role in the ranking algorithms. Google and Bing both are looking at your social graph, your friends preferences and your preferences, either search related or other and using that to rank pages. Real time search has changed the landscape of how fast content gets indexed and what results show at the top of the results. So 2010 was about Google May Day, Caffeine, Instant, Jazz, Real Time and Social. It will also be known for the failure of Yahoo and Ask in the search space. New Look & Features: As I mentioned, we have a brand new design and content management system live. We have used Movable Type since we launched this site. But there were many limitations. So seven years later, I decided to launch a new design with a custom brewed content management system. This way I can do whatever I want, feature wise, on this site. The new design helps highlight the top stories, gives you more detailed navigation and browsing through our archives, highlights my weekly video recap, is much faster, has better commenting support, better sharing features and so much more. I'd love your feedback, but leave it over in this blog post. Google News Redesign Now Live : Do You Like It? Google Images Trying Bing's "Infinite Scroll"? Bing Indexing New Content & Sites Faster? Microsoft Bing Says They Are "Fairly Slow"
Yahoo Says They Are Still In Search, Sure Thing! Yahoo Paid Inclusion Still Live? Another Google MayDay Tweak, June 23/24th? Was There a Google May Day Tweak On June 2nd? The Google 7 Day Index Delay? A Real Yahoo Search Update for January 2010? Yahoo Search January 2010 Update? Mass Google Toolbar PageRank Penalty of December 2009??? Google's Site Operator Now Less Buggy & More Accurate? Did Google's Marissa Mayer Get Promoted or Demoted? Picture: Google "Related Commercial Searches"
14% Say The Canonical Tag Doesn't Work on Google, Really? What Is Google's "Webmaster Happiness Metric"
Matt Cutts Outed Again As GoogleGuy? Google's International Women's Day Logo at Google Russia Only?